The good news is Apple will now recycle your old Apple Watch for you. 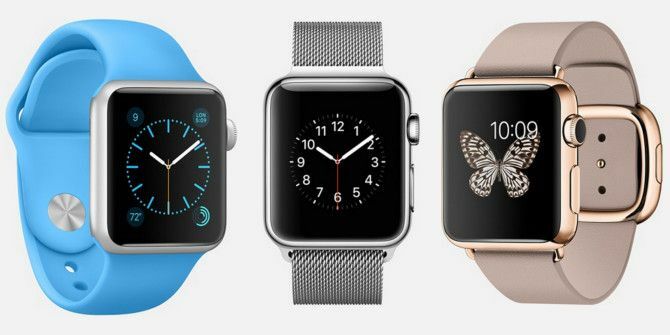 The bad news is Apple will not pay you a dime for your old Apple Watch. You clearly don’t get to be one of the richest companies in the world without short-changing your most loyal customers. Apple has added the Apple Watch to the Apple Renew program. This is Apple’s free recycling initiative which “lets you recycle any Apple device at any Apple Store and online,” with Apple promising to “make sure it’s recycled responsibly or given a chance to be used again”. Other Apple products already part of the Apple Renew Program include Macs, iPhones, and iPads. If you choose to let Apple recycle any of the aforementioned products you’ll receive an Apple Store Gift Card for your trouble. It won’t be anywhere near the value of the product, but it’s a nice gesture to encourage people to recycle their old tech Beware These 8 Security Issues When Recycling Hardware Beware These 8 Security Issues When Recycling Hardware Recycling old hardware is a good idea, but you don't want to give away personal data. Consider these security concerns before getting rid of your hardware, and see what you can do about them. Read More . However, as first spotted by 9to5Mac, if you give Apple your Apple Watch you won’t receive anything in exchange. No cash, no gift card, probably not even a thank you. Because Apple is doing you a favor by taking that expensive wrist bling off your hands. Quite literally. Recycling your old iPod will also earn you no real reward from Apple. However, if you take your iPod to an Apple Store you’ll at least get 10 percent off the price of a new one. Which is more than you’ll get for doing the decent thing with your old Apple Watch Apple Watch Review & Giveaway Apple Watch Review & Giveaway The new Apple thing is finally out, but everyone was talking about the Apple Watch long before it was officially announced. Starting at $349 - we take a look, and have TWO to give away! Read More . Apple only released the Apple Watch in April 2015, which means even the oldest Apple Watches out in the wild are just 18 months old at the time of writing. And yet, at least as far as Apple is concerned, they’re now completely and utterly worthless. We fully encourage our readers to do the right thing with their old, unwanted hardware. Because electronic waste is a growing problem Thou Shalt Consume: The Story of Consumer Electronics [Feature] Thou Shalt Consume: The Story of Consumer Electronics [Feature] Every year, exhibitions around the world present new high tech devices; expensive toys that come with many promises. They aim to make our lives easier, more fun, super connected, and of course they are status... Read More . However, given Apple’s tight-fistedness on this occasion, we’d recommend either passing your old Apple Watch onto a friend or selling it to a stranger. Especially if you spent a small fortune as an early adopter. Do you own an Apple Watch? What do you plan to do with it when you upgrade to a newer model? How do you feel about Apple’s unwillingness to offer even a perfunctory reward to people recycling their Apple Watch? Please let us know in the comments below! Explore more about: Apple, Apple Watch, Recycling. Slow news day? This is stupid. Just because Apple won't give you anything for it, it doesn't mean that it is worthless. Why would you recycle a working watch? Did I already say this article was stupid? Have you read this passage of the text? Recycling your old iPod will also earn you no real reward from Apple. However, if you take your iPod to an Apple Store you’ll at least get 10 percent off the price of a new one. Which is more than you’ll get for doing the decent thing with your old Apple Watch. The title of your article is misleading click bait. But I guess you know that. I'm really shocked and surprised that a huge company like Apple would be so mean. I love my Apple Watch and won't be upgrading to the new one just yet but I can say without a doubt I won't be going to an Apple shop to recycle it when I do, I shall keep it in my collection. I think Apple needs to get their stuck up nose out of their arse! They are increasingly getting more insulting by the day! The only difference in their computers compared to PCs is the software! It's all the same hardware, the only thing that makes it an Apple is the OS! I'm seriously considering going to Linux! Apple is getting ridiculous in their prices! My 2011 MacBook Pro still has a resell value of over a thousand dollars. Their watch on the other hand obviously doesn't!